4 Beds 3 Baths 1 Partial Bath 1,960 Sq. ft. RELAX on your front porch swing while enjoying the prettiest street in Pickwick Park. Two story traditional home nestled under majestic oak trees. 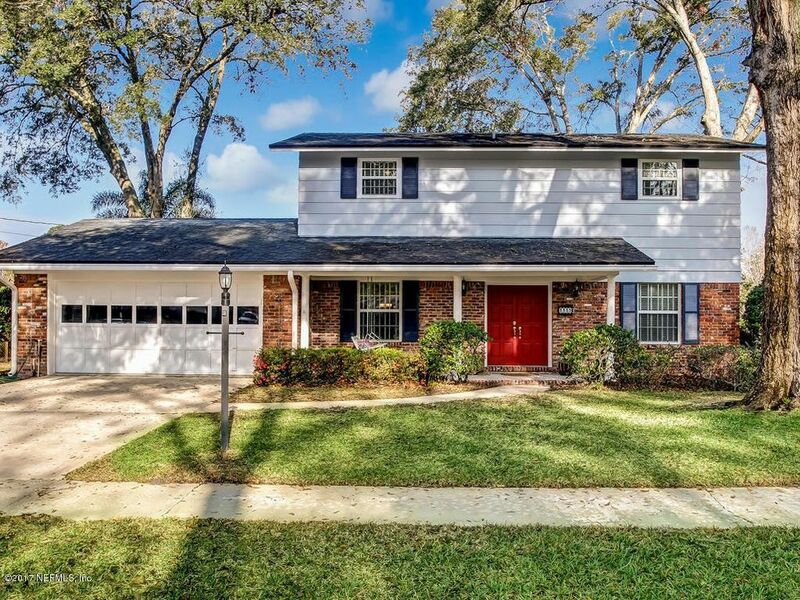 With over 2000 sf, this 4 bedroom 2.5 bath home has a flowing open floor plan - Family, Living & Dining rooms have a clean neutral interior that is move in ready. Lovely remodeled Kitchen & cozy Breakfast Nook feature stainless steel appliances, ample cabinets, solid surface counters & large pantry. Convenient indoor laundry, 2 car garage & large park like backyard with full irrigation system make this home perfect for family living. Upstairs original hardwood recently refinished, new A/C, windows and doors, re-plumbed, freshly painted exterior/interior and new blinds throughout! Roof replaced 2008. Conveniently located to parks, shops, dining. Directions: From Baymeadows Rd And San Jose Blvd. South On San Jose. Turn Right Onto Beauclerc Rd. Turn Left Onto Whittington Drive. Turn Right Onto Heathcliff Lane. Home Will Be On Right.